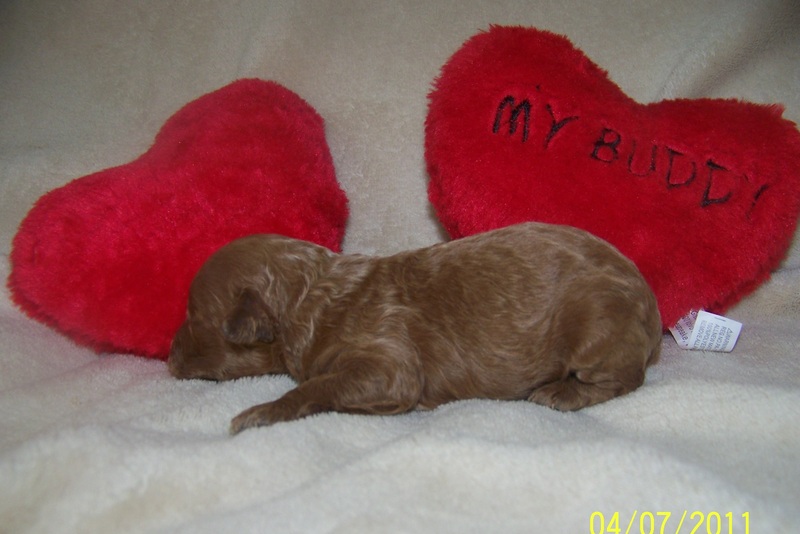 All of my Poodles are purebred, Pedigreed, and AKC Registered. I use HomeAgain microchips for identification. My breeding studs are DNA Certified with the American Kennel Club. And every Poodle is screened for patella luxation, Heart Disorders, PRA and Cleared before I will use them in my Breeding Program.. All of my babies are sold with Limited Registration.